Play the only app to allow different Vuvuzela notes!! 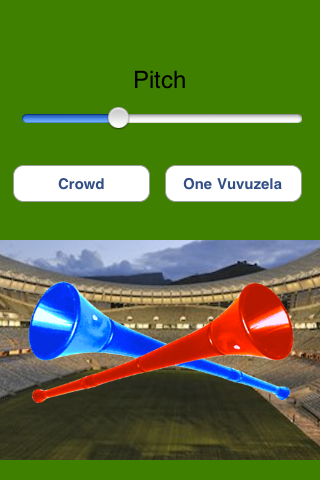 Play one Vuvuzela or get the real feel of a South African football match, it's your choice with this app!! Celebrate your football clubs goal the south african way! !